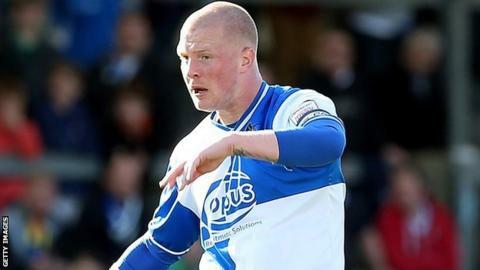 Defender Garry Kenneth has left League Two Bristol Rovers by mutual consent. The 26-year-old signed a three-year deal at the Memorial Stadium in the summer of 2012. Kenneth missed the second half of last season with a knee injury and asked for a transfer after failing to reclaim a place in the team this term. Chairman Nick Higgs said: "Unfortunately things have not worked out with Garry, but the club would like to wish him well for the future." Kenneth has not played a game since Rovers' 2-0 defeat by Gillingham on 5 January.